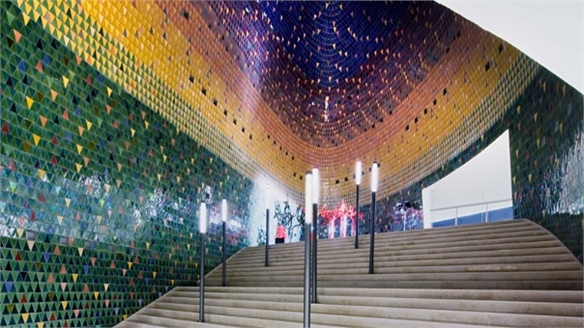 Danish architect firm Örnduvald has created a wall of shimmering pixels to disguise the current construction of Copenhagen’s underground metro line. 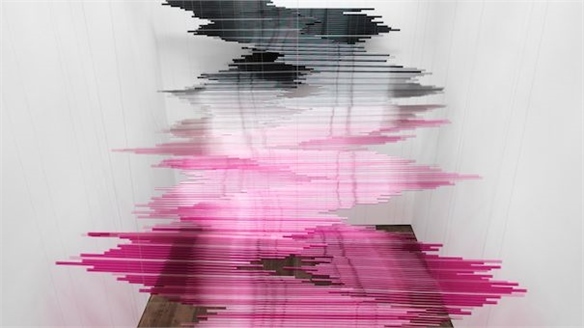 The project, called Piles, consists of three works. Each is made of 45,546 metal discs, providing a sparkling contrast to the stark, fenced-in construction zones. Each piece represents the vast amounts of soil, water and rubble excavated for the new metro system. Nine different colours are arranged to sculpt relief patterns in the piles. A material called Air Display is used for the metallic foil discs – a material used typically in commercial signs by German manufacturing specialist BWS-Germany. High-shine materials and surface finishes are regularly used to increase the sense of space. Read more about the transformative qualities of mirrored surfaces in the Stylus Materials Focus 2014-15 concept Interrupted Surfaces. 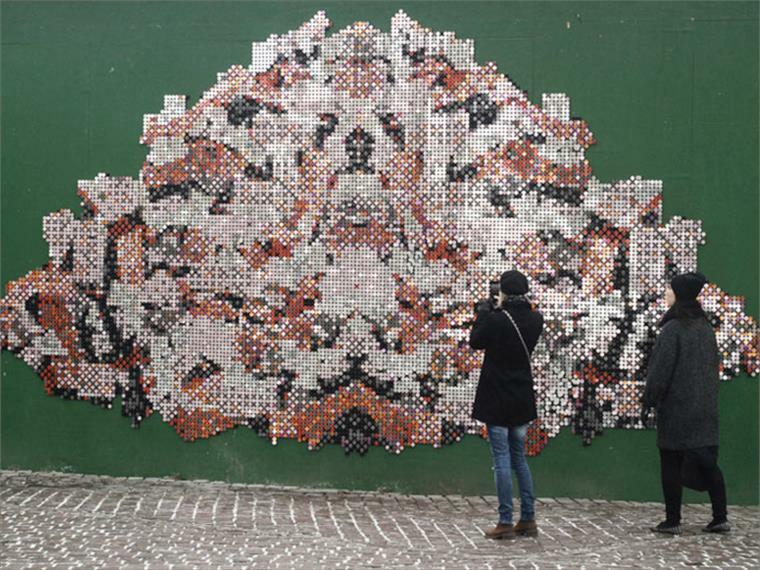 Piles will be on public view at Kongens Nytorv square in Copenhagen, Denmark, until July 2013. Copenhagen’s Metro transit company will be expanding the city centre with 17 new stations during 2018. 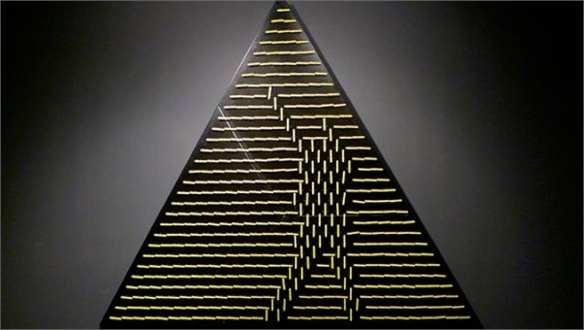 Pattern: Follow the Rules Pattern: Follow the Rules Michigan State University’s Broad Art Museum in the US is currently holding an exhibition called Pattern: Follow the Rules. Daniel Rozin’s Mechanical Mirrors Daniel Rozin’s Mirrors Famous for his interactive sculptures, New York-based interactive artist Daniel Rozin is currently exhibiting a new series of works called Angles, his fifth solo show at Bitforms Gallery in New York. Interrupted Surfaces Interrupted Surfaces The appearance of surfaces and spaces are fascinating artists, architects and designers. 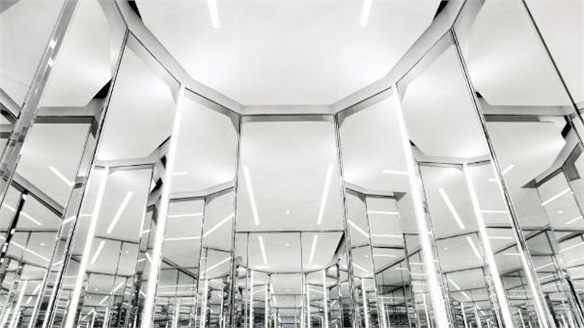 Materials that possess highly reflective or responsive qualities are producing complex surfaces and applications. Compelling materials and finishes that respond to their environment through mimicry, refractive qualities or smart interaction challenge our interpretation of a space or object. 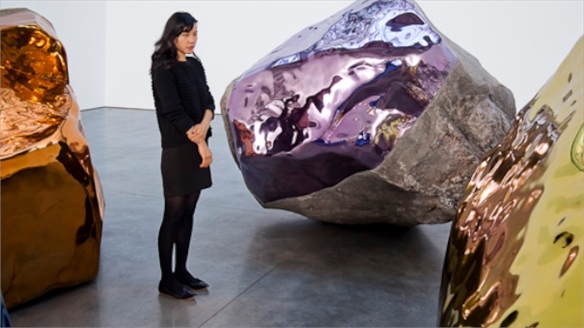 Jim Hodges’ Metallic Installation Jim Hodges’ Installation Art New York-based artist Jim Hodges’ latest show at the Gladstone Gallery, Manhattan, explores contrasting textures, using high-shine metallic coatings to transform large bodies of stone. 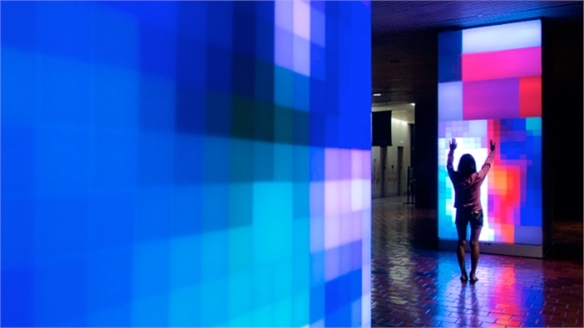 Ivan Toth Depena: Reflection Ivan Toth Depena American artist Ivan Toth Depena has recently completed the installation Reflection in the entrance hall of Miami’s Stephen Clark Government Center, commissioned by the Miami-Dade County Art in Public Places initiative. 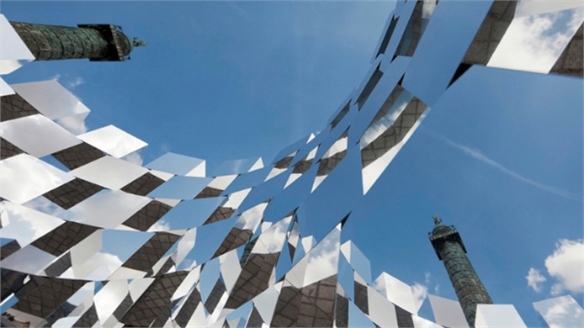 I'll Be Your Mirror I'll Be Your Mirror An emerging interest in cool reflective material finishes – where mirrors, polished metals and treated glass act as ever-changing surfaces – is resulting in a visual landscape where all may not be as it seems. Stylus investigates the use of these materials to create objects that manipulate their surroundings, emulating pigmented surfaces by harnessing reflected colour. Colourful Mosaic in Knowledge Space Colourful Mosaic, Hungary The Regional Library and Knowledge Space in Pécs, Hungary, designed by local architects Török és Balázs Építészeti, centres around a multi-coloured mosaic that covers the building’s dome-shaped atrium. 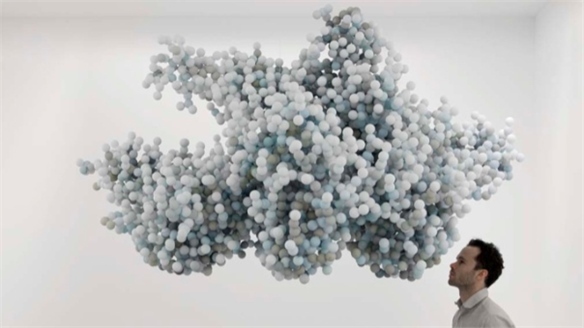 Daniel Arsham: Pixel Clouds Pixel Clouds American artist Daniel Arsham uses stained ping pong balls to create clusters of colour that appear as clouds.